Overflow is a gathering for women parenting on their own. 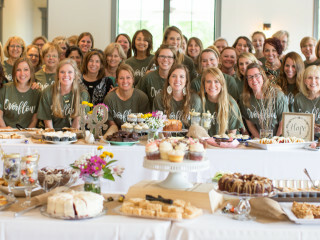 At Overflow, guests will experience a time of encouragement, refreshment, and inspiration, connection to other women in similar life circumstances, a celebration of motherhood and time for drawing closer to Christ. There will be motivating and entertaining messages from the keynote speaker, other special speakers, question and answer panel discussion, and inspiring music by the Bayou City Fellowship Worship team.